The Hampton Nautical Solid Brass 62" Binoculars, complete with a rare and expensive shisham wood tripod stand, is the perfect gift for the explorer in your family. This is a functional nautical décor item and looks great resting on a wood desk or between books on a wall cabinet. The picture of this amazing marvel does not do it justice. 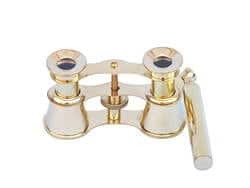 The polished solid brass double scope enables its user to use both eyes to focus an object while keeping the binoculars steady with the stand. These binoculars are capable of reaching up to 12x magnification and can be focused using a knurled focusing ring in the center of the binoculars. The tripod wood stand features polished and smooth rounded wood stands each with solid brass fittings and a screw release to let you adjust the height. 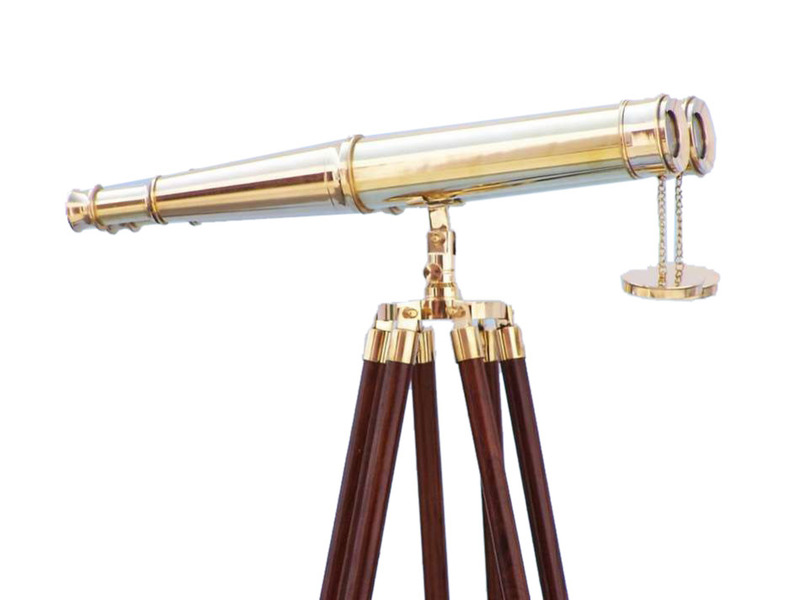 A solid brass chain holds the three stands together so the binoculars hold their position. 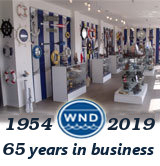 Developed at the same time as the telescope, binoculars have become a common tool in sailing as well as every day life. These dual marine telescopes make the perfect gift for the nautical-minded, as a small reminder of lift at sea. Much like the telescopes of the 1600s, these antique nautical instruments used quartz crystal for focusing until the mid-1800s when modern optics were implemented. In the mid-1800s, as prisms came to be used in pocket telescopes, the double prism design was implemented in binoculars. In 1894 the first of what can be considered a modern pair of binoculars was created and sold, very similar to the dual marine telescopes represented here. Throughout the next century binoculars continued to advance, from the 15 meter, 10 ton naval rangefinders of World War II, to amazingly powerful handheld versions. With a classic design, used by sea farers and nautical enthusiasts for centuries, gaze out over the horizon and see the world in a new light.